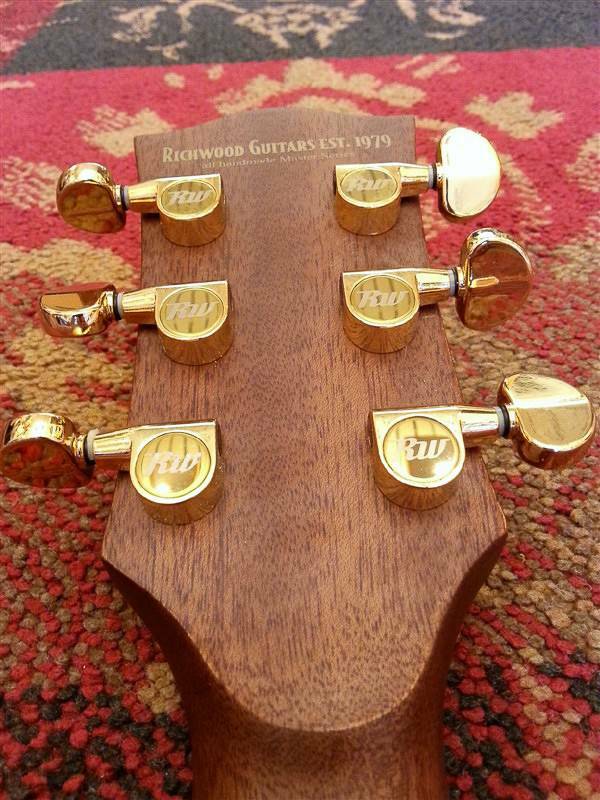 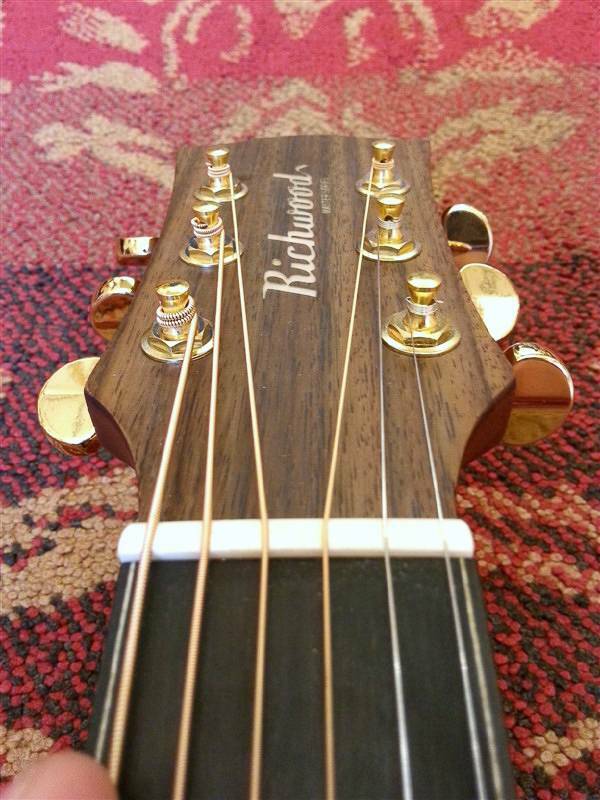 We are very much surprised by the Craftsmanship, Quality and Sound by the All New Richwood Custom Shop guitars. 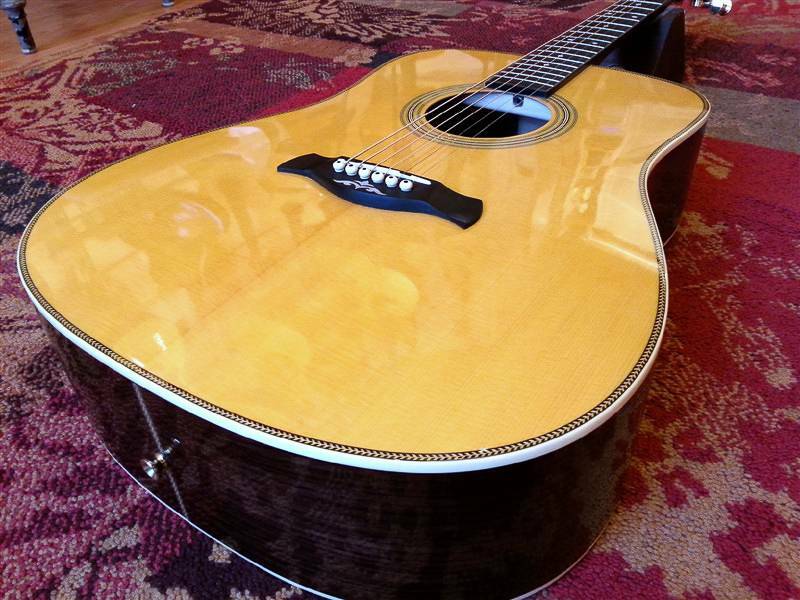 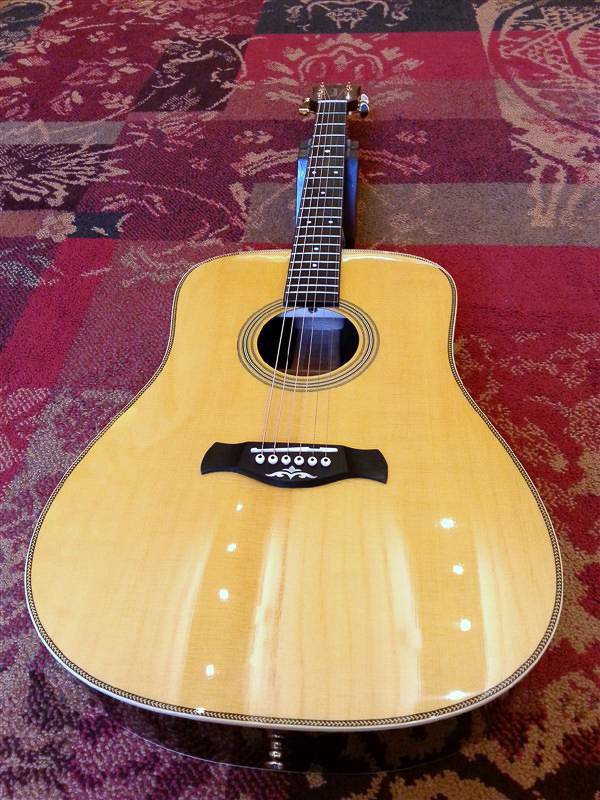 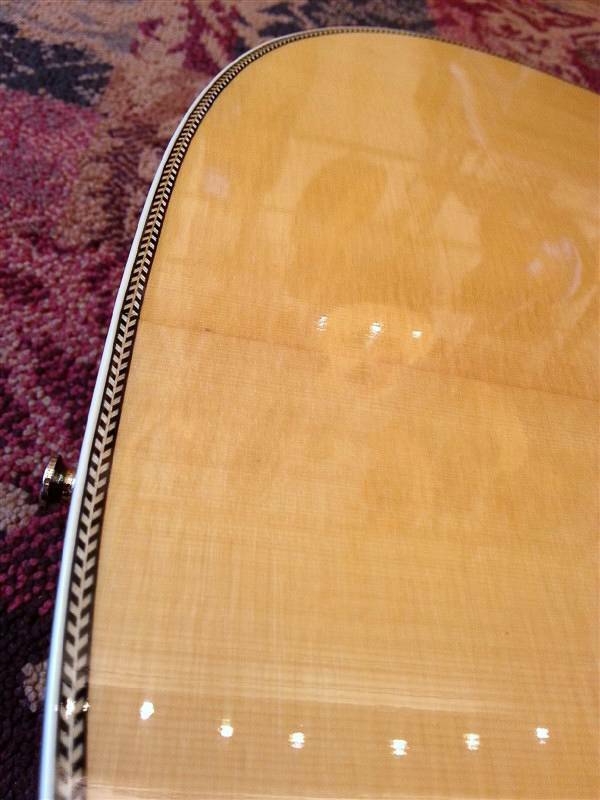 A very very resonant guitar with all the low-end you would expect from a dreadnought. 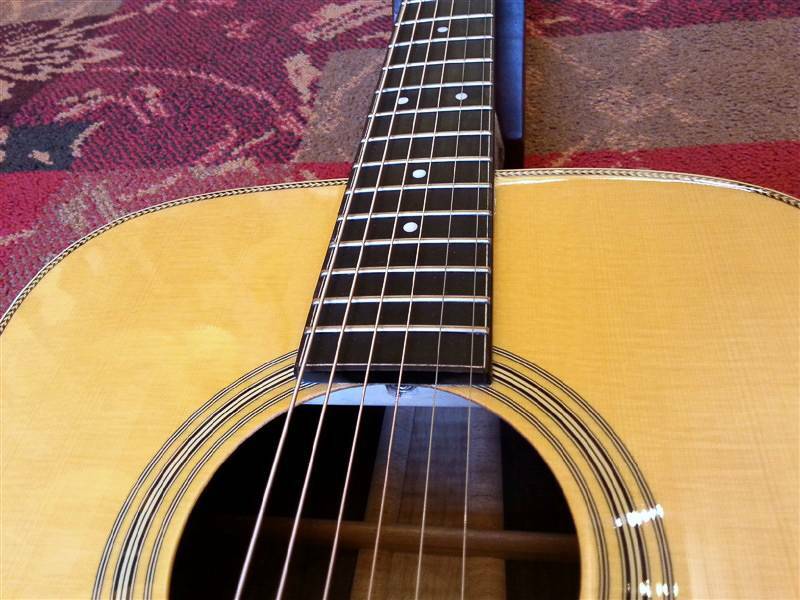 The character is very much like that of a good Martin Dreadnought surprisingly. 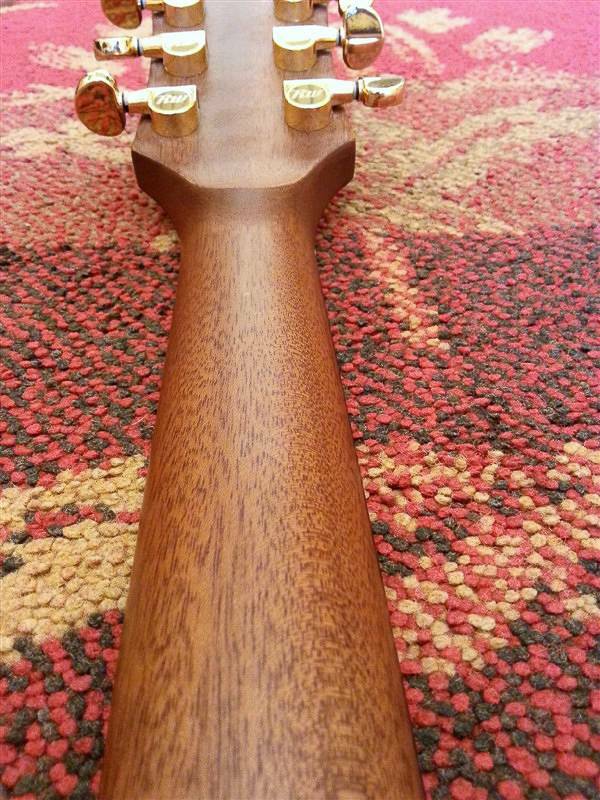 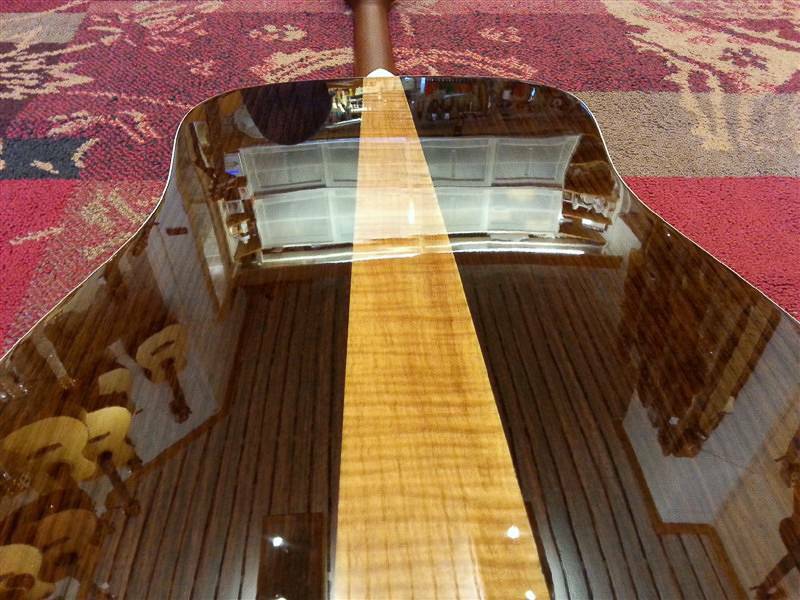 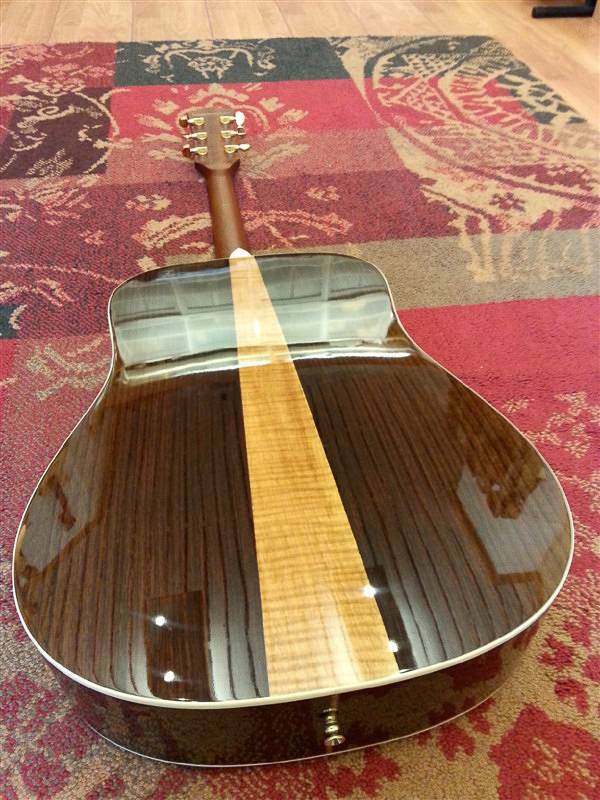 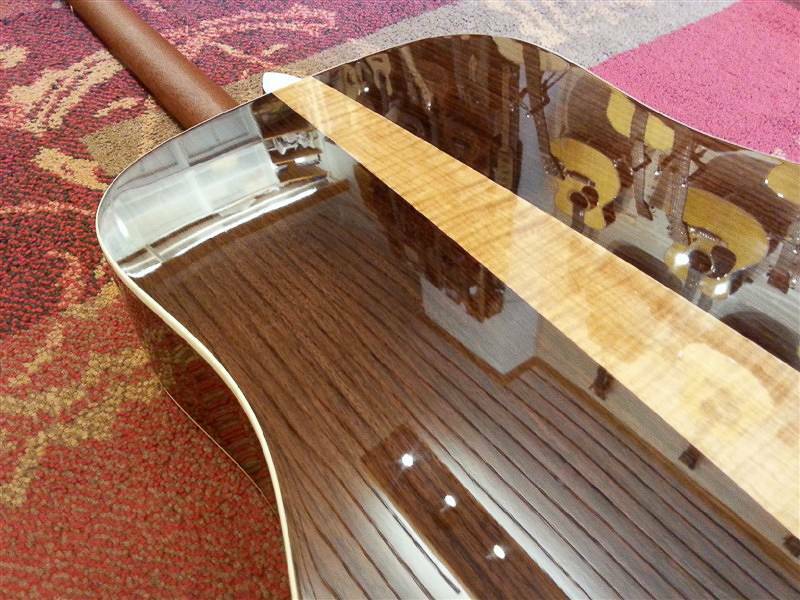 A thin top and beautifull Rosewood back and sides, all finished perfectly. 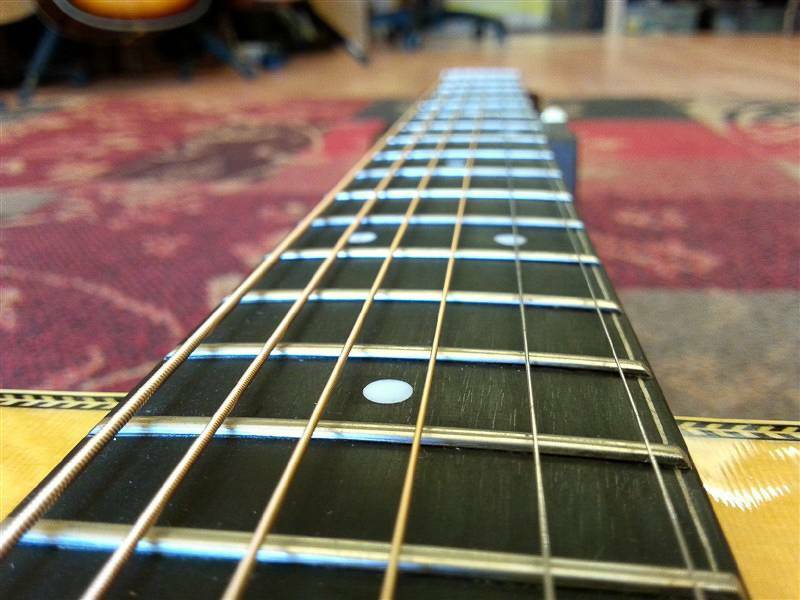 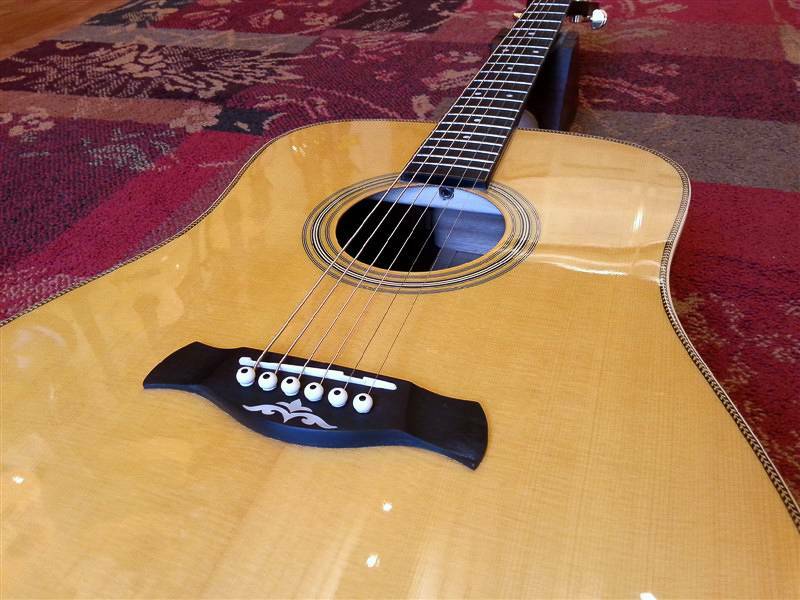 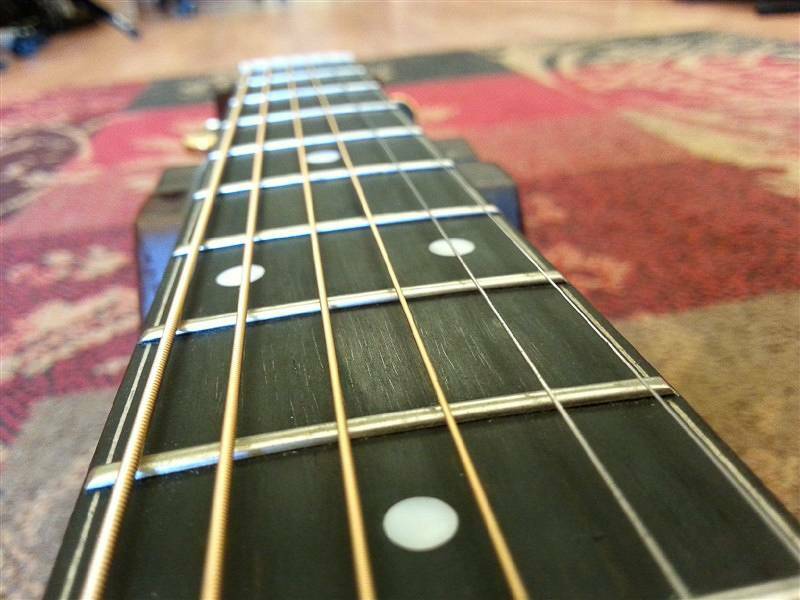 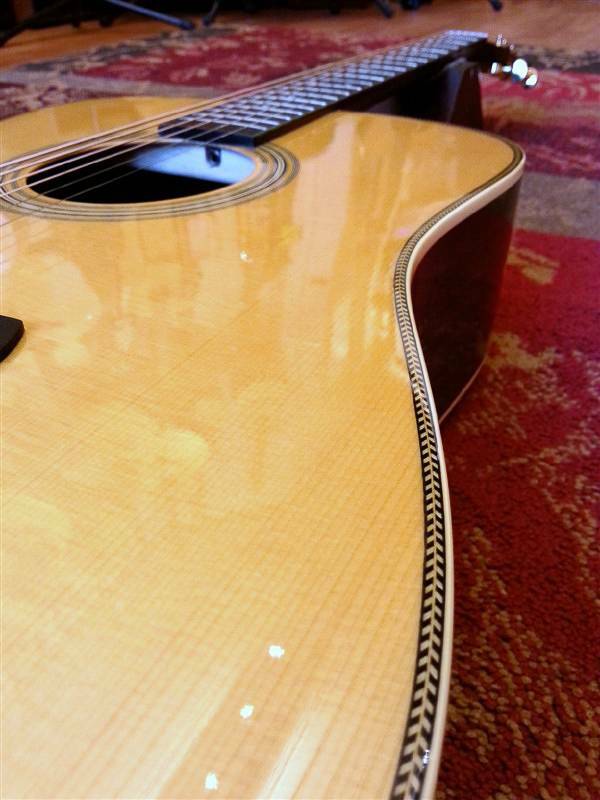 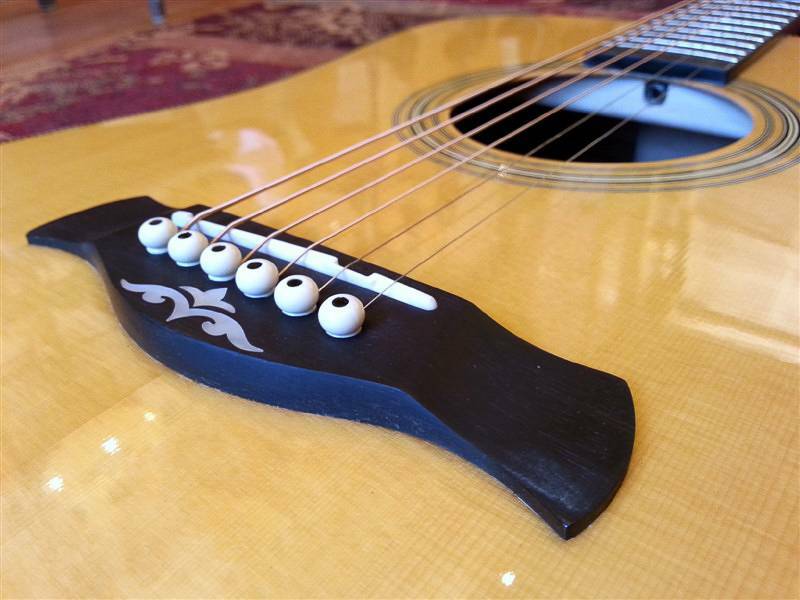 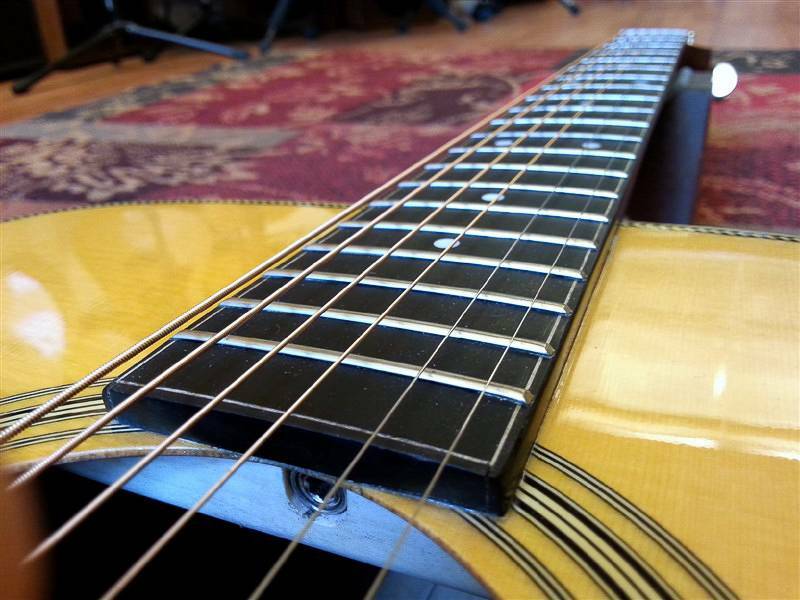 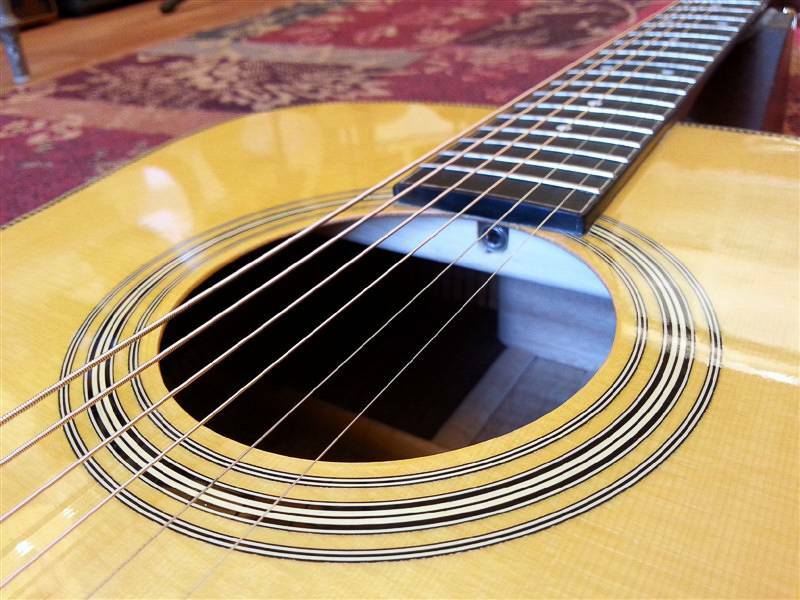 Come by and be surprised by what this guitar can do! 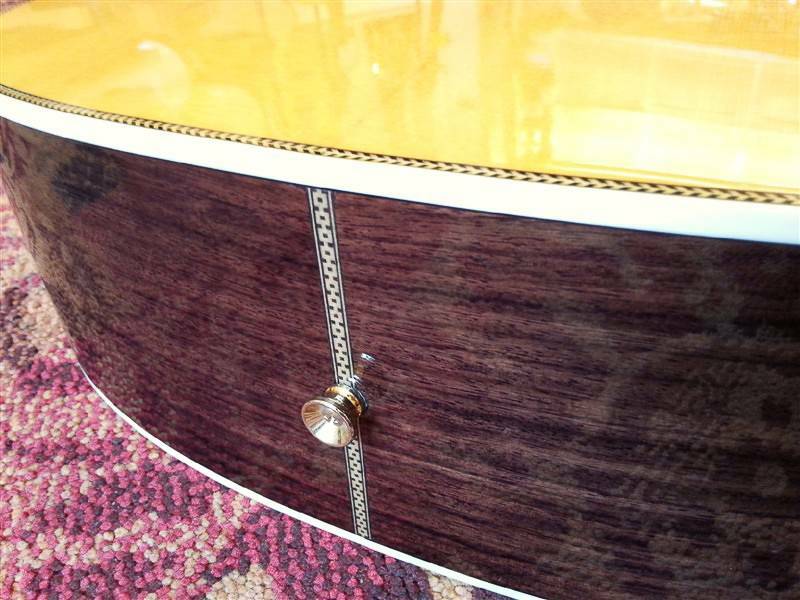 All Solid Spruce & Rosewood, vintage aged finish, deluxe gigbag included!